UIN Information System is accessible to UIN holder whereby each investor is able to monitor all activities carried out on their UIN in stock exchanges along with the details of their trading accounts involved. 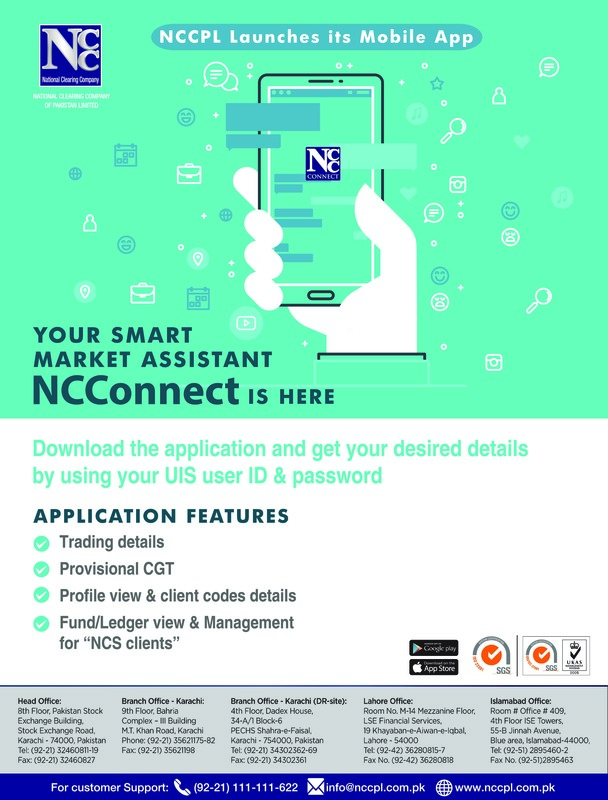 UIN Information System is designed and developed by the National Clearing Company of Pakistan Limited ("NCCPL") exclusively for the capital market investors. Through UIS an investor is able to view their trading and settlement activities executed through the broker along with its trading accounts information. Presently, trading and settlement information of clients are provided by the respective brokers of the stock exchange through various communication channels. However, with the implementation of UIS, clients of the brokers can view their trading, settlement and Capital Gain Tax (CGT) related information directly through dedicated User ID and Password assigned to them for accessing necessary information from UIS. Moreover, clients can also view the number of trading accounts (Client Codes) assigned with their UINs registered in National Clearing and Settlement System ("NCSS") by the broker clearing members. 1 Request for Client Code Closure. 2 Request for UIN Closure. 4 UIN Purchase Sale Summary Report. 5 UIN Purchase Sale Detail Report. Stock Exchange Road,	Karachi - 74000, Pakistan.